• Coiled cable for connecting iButtons to 1-Wire networks (8 ft when fully extended). • Adhesive pad for mounting on objects. • Supports for up to two iButtons at once. The DS1402D-DR8 is a part of the DS1402 series. It is a 1-Wire network cable designed to connect any serial or USB 1-Wire port adapter that has a RJ11 jack with up to two iButtons simultaneously. 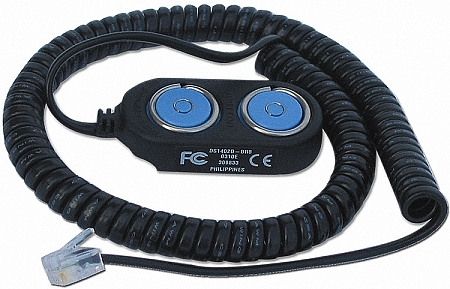 The DS1402D-DR8 Blue Dot receptor cable can touch any iButton for reading, but can only retain the F5 version iButtons. Q: Can I read/compare data between two iButtons using the DS1402D-DR8+ iButton reader cable? A: You can display the data between two iButtons simultaneously with the DS1402D-DR8+, DS9490R#, and OneWireViewer. You will need to open two instances of OneWireViewer. Then, select one iButton from each of the device lists.